Iconic Radisson Blu has a long and successful history of delivering truly leading edge, stylish and sophisticated international hospitality. They are the leading upper-upscale hotel brand in Europe, with more than 380 hotels open or under development around the globe. 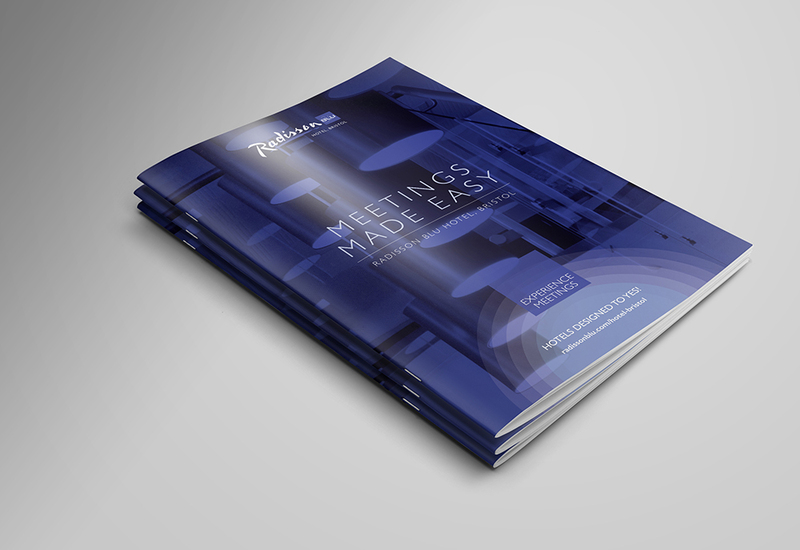 Radisson Blu required a brochure to offer meeting and event space within their hotels. The finished designs are clear, concise and portray each hotel as an attractive upmarket venue for hosting Meetings and Events. Each brochure uses infographics to embed key points and numbers allowing the viewer to absorb the information they need, at a glance. 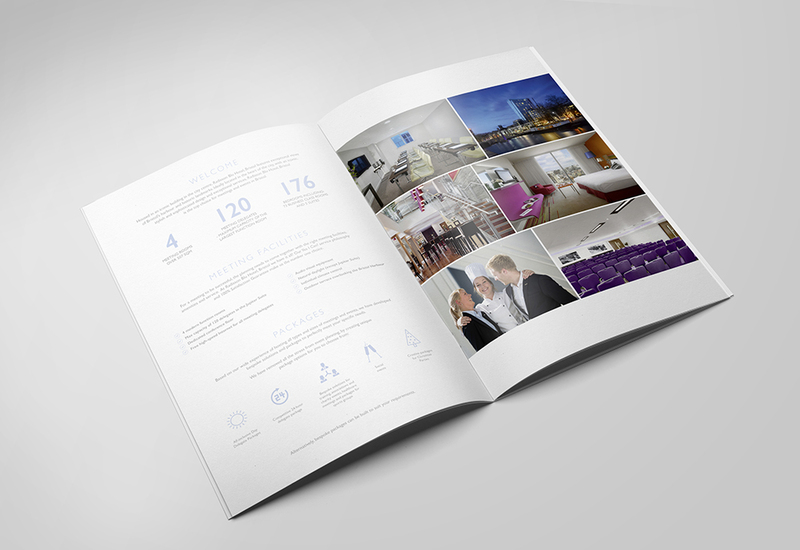 The brochures are a key piece of marketing collateral and are given out to potential and existing clients across all Radisson Blu UK & Ireland hotels.